Material design is a recently added and trending concept in Android. Creating an app with material design is quite time consuming and typical for designers but if you make use of already built material design FREE PSD’s, it would become very easy to design a new app within a short time span. 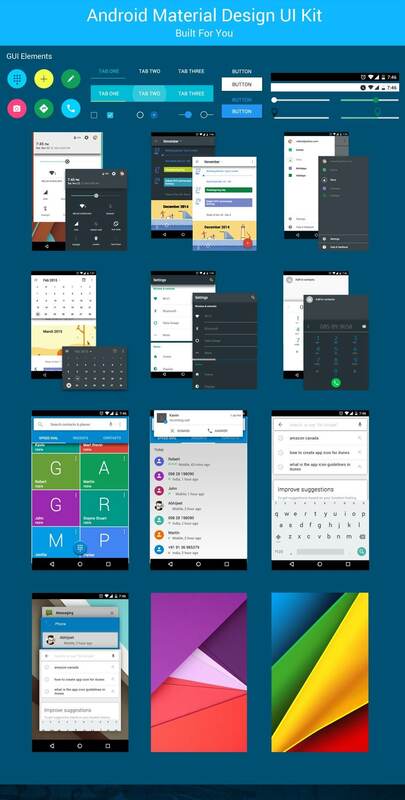 Here is the Free PSD for Android material design, created by Nine Hertz with plenty of attractive background and design styles. It contains a well organized set of all the necessary UI elements so that you can easily edit the designs according to your project need. Download it now and feel free to use it in any of your personal or commercial projects.